Real-Time Monitoring & Data Integrity"
The M.P. Pollution Control Board (MPPCB) organised a review meet of 17 categories of highly polluting industries which have installed Real-time Monitoring Systems under the scheme of 'Self Monitoring od Compliance". 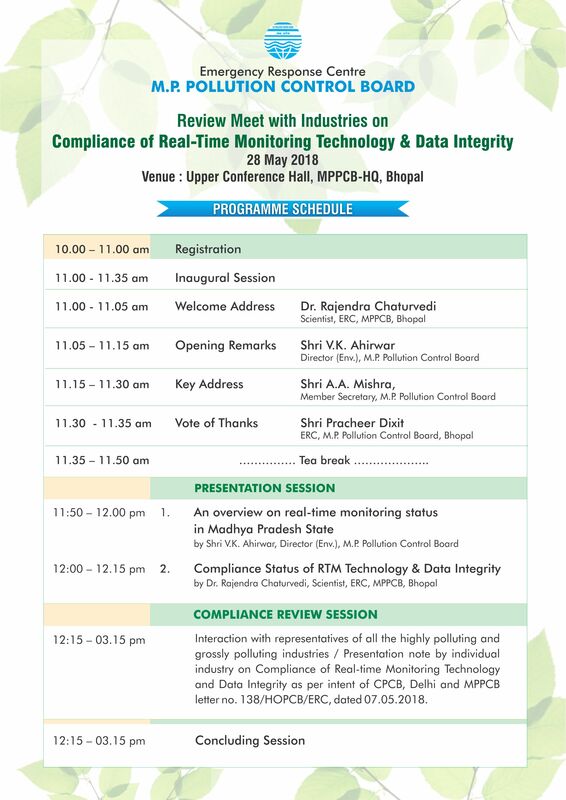 The aim was to sensitize the industries for compliance of real-time monitoring protocol and see the compliance of uninterrupted operation of RTMS with >85% uptime frequency of data, availability of remote calibration facility, periodic calibration of RTMS, availability of on-site calibration facility etc by industries.